There are many factors that contribute to the perceived trustworthiness of an ecommerce site. Not only is the inclusion of trust elements important, their visibility … also plays a vital role in determining whether customers feel comfortable performing online transactions. Quickly establishing trust is critical in ecommerce sales. Taylor Nelson Sofres’s 2006 survey showed that customers terminate 70% of online purchases because of a lack of trust, which resulted in $1.9 billion in lost revenues for that year alone. There are many factors that contribute to the perceived trustworthiness of an ecommerce site. Not only is the inclusion of trust elements important, their visibility, or placement on the home page, also plays a vital role in determining whether customers feel comfortable performing online transactions. My company recently performed a study in which we asked 18 participants to share their first impressions of four ecommerce sites: AbeBooks, Blue Nile, eToys.com, and Newegg.com. We chose these sites from a Forbes list of the best ecommerce sites of 2005. While the presence of many trust elements, aids, and cues throughout an ecommerce site contributes to customers’ perception of its trustworthiness, as UX designers, we can build greater trust by including and appropriately placing these identified trust elements on a site’s home page, as this article describes. Of an ecommerce site’s visitors, 60 to 80% are first-time visitors. The average conversion rate for first-time visitors is 2.5%. That’s about two customers for every hundred visitors. Of an ecommerce site’s visitors, 60 to 80% are first-time visitors. The average conversion rate for first-time visitors is 2.5%. That’s about two customers for every hundred visitors. Wouldn’t it be great if we could easily increase that number by an exponential amount—not by investing thousands of dollars in a site redesign, but just by placing a few trust elements in key locations on a site’s home page? Wouldn’t you do it in a heartbeat? Online visitors often commit only a very limited amount of attention to a site. They can easily click away from your site at any time, so you have very little time to gain their trust. Failing to gain customers’ trust is the key obstacle to achieving higher conversion rates. Although other factors such as images and other content, information architecture, navigation, and many more impact the perceived trustworthiness of a site, these are more expensive to change. Our study demonstrated how you can easily increase an ecommerce site’s conversion rate. Adding trust elements, as I’ll describe later, is one of the least expensive ways of increasing conversion rates. Therefore, sites should reduce the uncertainty and complexity of online transactions by enabling mental shortcuts such as trust. 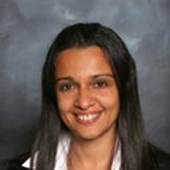 Trust plays an important role in customers’ willingness to proceed with a transaction. You can gain customers’ trust by reducing information complexity and lowering the perceived risk of a transaction. Trust serves as a mental shortcut that lets customers form first impressions about a site’s credibility, and this happens in as little as 50 milliseconds. 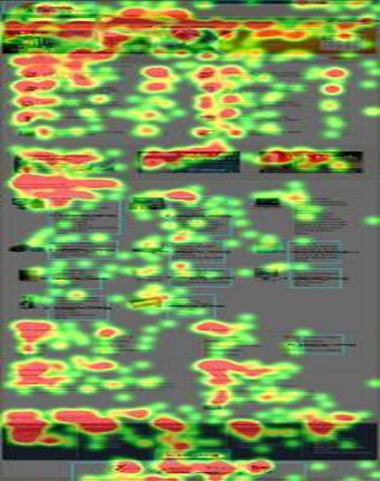 Through our eyetracking research, we studied the concept of trust at first sight to determine what cues first-time visitors notice when they visit a site’s home page, as well as the impact of the presence and placement of these cues. Once participants viewed each site’s home page, we asked them to identify the trust elements on the page—that is, what made them trust the site. It’s not always possible to use every potential candidate in an eyetracking study, because there is often a small percentage of people to whose eye movements you may not be able to calibrate an eyetracking system. Therefore, although we recruited 19 participants, only 18 of them were able to participate in our study. The participants were almost evenly split across genders, with ten males and eight females, ranging in age from 21 to 39. To avoid bias, we made sure that participants had not previously visited any of the four Web sites we were evaluating—as I mentioned earlier, AbeBooks, Blue Nile, eToys.com, and Newegg.com. Participants had an average of 3.5 years of experience with online shopping. 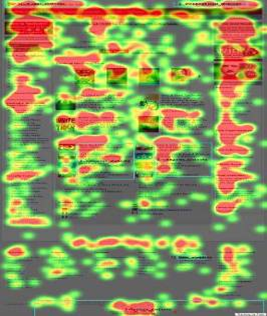 They viewed the home pages of these sites on a 17-inch monitor with Tobii 1750 eyetracking technology. During the study, we gathered demographic data about each participant and his or her online-shopping experience. We then calibrated the eyetracking system to each participants’ eyes. We informed participants that we would be showing them a few home pages for ecommerce sites that sold products ranging from toys to diamonds. We instructed participants to tell us only whether they trusted a site and why. We showed all four of the home pages to each individual participant—to avoid the effects of group-think—and in counterbalanced order to eliminate any trust-transfer biases. Once participants viewed each site’s home page, we asked them to identify the trust elements on the page—that is, what made them trust the site. Each session lasted less than an hour. Following each session, we asked participants to rate the sites on a 5-point Likert scale, in which 5 meant a participant completely trusted a site, and 1 meant a participant did not trust a site at all. We noted the presence or absence of each of these trust elements on a site. In evaluating the effectiveness of the inclusion and placement of trust elements on the ecommerce sites, we collected qualitative data from the participants and coded it into the 26 trust elements in Table 1. We noted the presence or absence of each of these trust elements on a site. We could determine this easily for some elements such as trusted-site icons or Bill Me Later, but others—such as whether logos and images looked professional to participants—were more subjective and, thus, more difficult to determine. In such cases, we considered the element absent if participants either did not comment on the element or made a negative comment about it—for example, Blue Nile’s user testimonials and AbeBooks’ order tracking, which were present on their home page, but unnoticed by participants. Note—1, Participant didn’t trust a site at all; 5, completely trusted it. As Table 2 shows, an increase in the number of trust elements on a home page increases a participant’s perception of trust (r=0.93) in a site. The more trustworthy the participants judged a site, the less time they spent viewing it (r=-0.74). From these observations, our study found that participants take less time to determine whether a site is trustworthy if more trust elements or cues are present on the home page (r=-0.78). Not only is it important to have trust elements on a home page, it is equally important to place the elements on the page appropriately, because poor placement could cause customers to fail to notice them, decreasing their perception of trust. Participants who noticed these trust elements perceived a site to be more trustworthy (r=0.72). Also, an increase in the number of trust elements increased the number of participants (r=0.88) who observed them, thereby increasing their perception of trust. 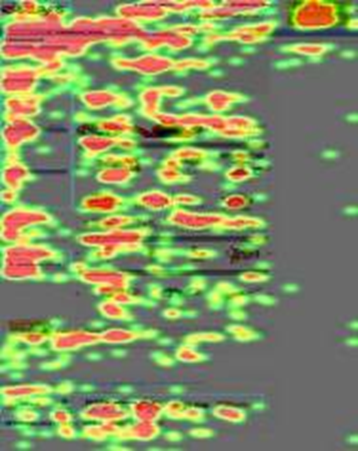 Before we look at each of the ecommerce sites the study evaluated, I’ll define some eyetracking terms that I’ll use. The length of time a participant’s eyes remained focused on a particular point. Elements on a home page that participants found of interest—for example, a logo or shopping cart. We can derive insights by evaluating participants’ levels of attention to various elements on a page. Now, let’s look at the trust element on the four ecommerce sites we evaluated during our study. AbeBooks tied for second place with eToys.com in perceived trustworthiness…. AbeBooks tied for second place with eToys.com in perceived trustworthiness, according to participant ratings. (See Table 2.) As Figure 2 shows, this site received the greatest amount of attention on its logo and the least attention on its trusted-site icons at the bottom of the page, based on the average dwell time, or collective length of time participants’ eyes remained focused on a particular point. It also included the fewest trusted-site icons of the four sites. What elements helped to build trust? As highlighted in Figure 3, participants thought the company’s presence in many countries (A) and its existence since 1996 (B) contributed to its trustworthiness. Participants also perceived that finding a book would be easy, because of the centralized location and the large amount of space allocated to the search box and the site’s robust set of search options (C). User testimonials (D) and well-defined categories—for example, rare books, used and new books, best-sellers and awards, audio books, and large print books (E)—also helped to build trust. Blue Nile … was the most trustworthy of the four sites. Based on participants’ feedback, we determined that Blue Nile, shown in Figure 4, was the most trustworthy of the four sites. (See Table 2.) Participants noted that it had what one called a “right column of trust,” which included links for Bill Me Later, Education and Guidance, and Professional Testimonials (A, B, and C in Figure 5, respectively.) 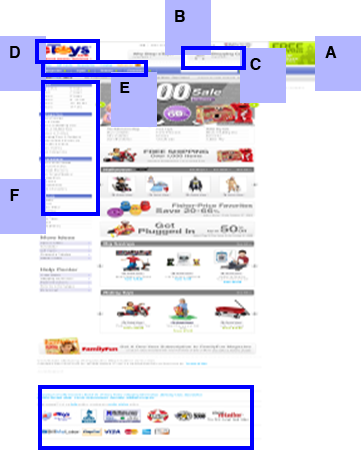 As Figure 5 shows, other trust-building elements include the competitor-comparison option (F), the perception of easy search (D), the layout, the perception that help was available, because of the presence of a toll-free number (G), and its locations in many countries. 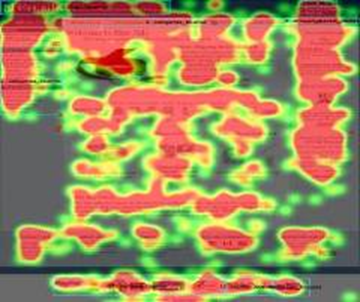 Of all the sites, participants spent the most time on its categories (E) and the trusted-site icons at the bottom of the page. Overall, participants spent the least time on this site, and it required the least amount of scrolling. eToys.com tied for second place with AbeBooks in perceived trustworthiness…. eToys.com tied for second place with AbeBooks in perceived trustworthiness, according to participants’ ratings. (See Table 2.) Of the four sites, participants spent the least time on its logo and the most on its order-tracking feature (F), as shown in Figure 6. One of the reasons for this could be that the Track My Order link appears in a group with other trust elements such as returns and exchanges, shipping information, and payment options. 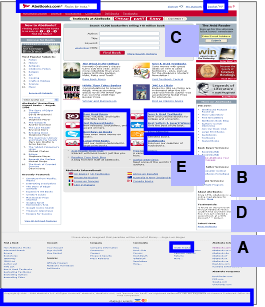 Based on participants’ feedback, the trust-building elements on this site, shown in Figure 7, included the big shopping cart (C), free shipping (A), the McAfee symbol near the cart (B), Bill Me Later (D), well-defined categories (E), and the group of trust elements and trusted-site icons at the bottom of the page (F). Newegg.com was deemed the least trustworthy of the four sites. According to participants’ ratings, Newegg.com was deemed the least trustworthy of the four sites. (See Table 2.) As shown in Figure 8, participants spent the least amount of time on categories (B) on Newegg.com. 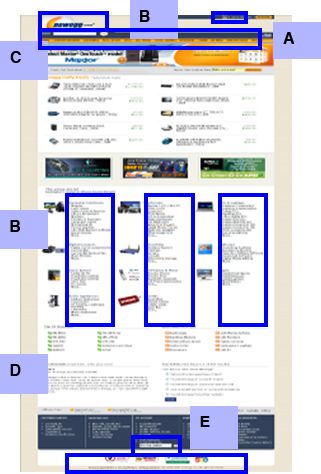 Figure 9 shows the elements that helped build participants’ trust, including Bill Me Later (A), Today’s Deals (C), User Testimonials (D), Track My Order (E), and the trusted-site icons at the bottom of the page. Increase the number of trust elements on your home page, thereby increasing the perception of trustworthiness. Place trusted-site icons like that of McAfee at the top of your home page, preferably near the shopping cart. Participants were more likely to notice Bill Me Later and McAfee icons when they were in the upper-right corner of a home page. Provide clearly defined categories to help first-time visitors, because well-defined categories play a significant role in building trust. Other important trust elements include a site’s logo, shopping cart, trusted-site icons such as that of VeriSign, and a link to order tracking. 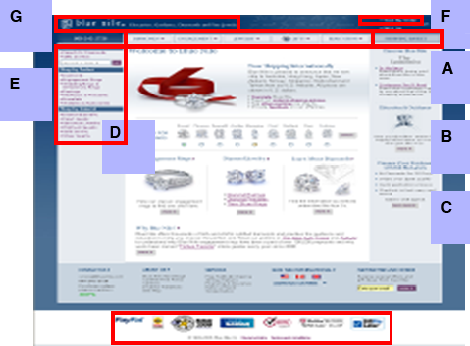 Grouping trust elements, as in the Help Center on EToys.com, or displaying a “right column of trust,” like the navigation bar on the right on Blue Nile, increases customers’ perception of trust. It’s possible to quickly establish first-time visitors’ trust through the inclusion and appropriate placement of 26 types of trust elements on ecommerce home pages. Through our study, we found that it’s possible to quickly establish first-time visitors’ trust through the inclusion and appropriate placement of 26 types of trust elements on ecommerce home pages. Table 2 lists these trust elements. The presence and placement of these trust elements on ecommerce home pages are essential factors in building first-time visitors’ trust. Appropriately placing and grouping these trust elements helps to increase their visibility, thus increasing the perceived trustworthiness of a site. Although establishing customers’ trust in a site involves more than just effective home-page design, first impressions are the strongest and most lasting. First-time visitors who do not immediately trust your site might never come back. McCarthy, T. R. “Forbes Favorites: Top 12 Sites for Holiday Shoppers.” Forbes.com, December 14, 2005. Retrieved July 2, 2011. Kent C. “Working with First Time Visitors.” VKI Studios, November 13, 2008. Retrieved July 2, 2011. Grabner-Kraeuter, Sonja. “The Role of Consumers’ Trust in Online-Shopping.” Journal of Business Ethics, Volume 39, Numbers 1-2, 2002. Lindgaard, G., G. J. Fernandes, C. Dudek, and J. Brown. “Attention Web Designers: You Have 50 Milliseconds to Make a Good First Impression!” Behaviour and Information Technology, Volume 25, Number 2, 2006.